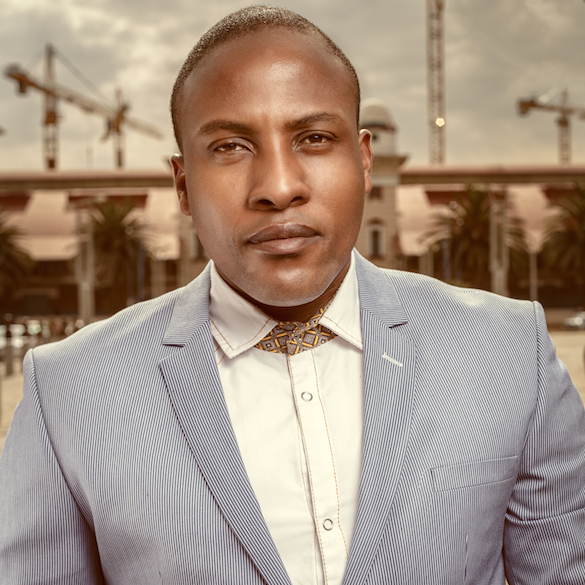 Zano is one of the leading and highly respected South African musicians of his generation. He moved from his hometown of eMbalenhle in the Mpumalanga Province in 2004 to Pretoria to pursue his passion for his first love, Music. He started out in the music industry doing session work for DJs and artists such as DJ Christos, the late Lebo Mathosa, Ralf Gum, BCC Choir, and Shana. A major hit was born in 2008 when DJ Black Coffee and Zano collaborated for Zano’s first official single, “Hello”. The song went on to become a major success and a national dancefloor anthem. It was this song that catapulted Zano in the South African spotlight of the music industry. From that moment on Zano started getting collaboration requests form the likes of Atjazz, Jullian Gomes, Matthew Bandy, The Layabouts & Nativeroots to name a few. This is probably the biggest collaboration I’ve done so far. The Layabouts are quite a big deal in South Africa and when I got an e-mail from them asking for a collaboration. I was stunned and excited at the same time. Listening to the final product I can easily say we have created a future classic. I believe this is the one collaboration that made the house music world sit up and notice my work. Jullian Gomes approached me about doing a song with him and AtJazz for their collaboration album. Soon as I got the beat I knew exactly what I wanted to sing about and the lyrics came to me almost instantly. One of my proudest work to date. Native Roots are Soulful House geniuses who have a distinct touch and are well respected in South Africa. Collaborating with them was definitely a huge thing for me as I’ve worked with GOGO music before. I was actually given the song a couple of years before it was released and the song went through a lot of arrangement, harmonic, and melodic changes before we reached the final product. A Soulful House banger on the SA dancefloors. I was approached by Matt from Makin’ Moves about doing a collaboration with one of the DJs signed to his label, Arnaud D. When I first heard the beat I couldn’t believe that a DJ from France had produced such an Afro-influenced song, beautiful music indeed. It was one of those songs that I heard the first time and knew exactly what I wanted to write about. I wrote the lyrics in English and Zulu – that for me is what worked well on the song. One of the song I enjoyed writing and singing. There’s so many great memories attached to this song. Me and Pascal Morais have been facebook buddies for a while and had expressed an interest in working with each other. In 2012 I was in Holland for a tour and we hooked up in Amsterdam. He played a beat for me and I went crazy over it, I wrote the song on the spot and recorded immediately. This was one of the most spontaneous songs I’d written in a long time and it came out beautifully. AfroHouse with a touch of Zulu Soul.